Hip joint problems used to be a bit of a mystery. A wide range of individuals from high school and college athletes to middle-aged weekend warriors would complain of pain deep in their hip, often in their groin. These people were given the diagnosis of a groin strain or pulled muscle, but often their recovery was unpredictable and the symptoms sometimes lingered. As we have gained a better understanding of the anatomy of the hip joint, and technology such as MRIs have improved our ability to see abnormalities in this anatomy, we have identified more specific sources of pain around the hip. One specific structure that is often identified as a source of hip pain is the labrum of the hip. The hip joint is a ball and socket joint at the junction of the top of the thigh bone and the pelvis. Unlike other ball and socket joints such as the shoulder, the hip has a very deep and stable socket. The labrum is a cuff of cartilage that makes a ring around the edge of the hip socket. This helps to deepen the socket, while also being flexible (unlike the bone of the socket) to allow for some movement. The hip labrum, like other types of cartilage, tends to have problems healing from injury. The cartilage tissue lacks a good blood supply and therefore does not have a capacity to heal after damage has occurred. For that reason, once the labrum has been damaged, it tends to show signs of damage that may not repair over time. When the labrum of the hip joint is damaged, people generally refer to this damage as a "tear of the labrum." Despite using this language to describe just about any injury to the hip labrum, hip labral tears come in a variety of shapes, sizes, and types. Not every labral tear is the same, and the treatment of labral tears can differ significantly. Furthermore, patients come in many types with different expectations for recovery and different interest levels in various treatments. Most importantly, labral tears are often seen in the setting of other damage to the hip joint including arthritis and bone spurs. A labral tear in the setting of arthritis of the hip is nothing like a labral tear as an isolated injury. When surgery is considered for a hip labral tear, the most common way to address this is through arthroscopic treatment. Arthroscopic hip surgery was essentially unheard of in the hip joint 20 years ago, extremely uncommon 10 years ago, but has become a routinely performed surgical procedure today. In fact, in the last 10 years, arthroscopic surgery of the hip joint has increased 18 fold. Despite this dramatic increase, there has been little scientific analysis as to how beneficial this treatment is for a hip labral tear. Specifically, little has been done to compare if arthroscopic hip surgery is better than other treatments for a labral tear such as physical therapy, rest, and anti-inflammatory medications. Arthroscopic hip surgery is an outpatient surgical procedure that was performed under general anesthesia. Your surgeon places a small television camera with an attached light source into the hip joint, and through a separate small incision can place instruments to address hip labral tears. The normal treatments to address a hip labral tear are either to repair the damage with sutures or to trim out the torn portion of the labrum. The decision of how to address the tear usually depends on factors including the tear type and location. Arthroscopic hip surgery is not without potential risks. These risks include problems like infection, persistent pain, and nerve or blood vessel injury. Given the known risks of surgical treatment, it is important to weigh that against the benefits of surgery. So the question then becomes, is surgical treatment better or worse than nonsurgical treatment? Because we know that labral tears do not tend to heal, many people are under the presumption that if they want the pain to be addressed, a surgical procedure is their only option. But is that actually the case? A number of recent studies have reported good short-term results following arthroscopic hip surgery. Most of these studies find that people who undergo hip arthroscopy have good pain relief in the months and years to follow surgical treatment. Especially in patients who do not have any signs of arthritis, these results tend to hold up well over time, and people are satisfied with their treatment. This evidence certainly supports the consideration of surgical treatment, but only a few studies have actually compared if surgical treatment is better than nonsurgical treatment. One recent study of about 100 military recruits who had hip labral tears randomly assigned them to either get surgery or nonsurgical treatment. Two years after treatment was completed, there was no significant difference between the groups of individuals treated surgically versus those treated nonsurgically. That is not to say that everyone got better, it just means that an approximately equal number of patients got better with nonsurgical treatment as with surgical treatment. On a positive note, the majority of patients in both groups, surgical and nonsurgical, did find improvement. There has also been controversy regarding the treatment of patients over the age of 40 who have labral tears. These patients must be approached very cautiously when considering surgical treatment. While there are some situations where middle-aged people can find good pain relief with arthroscopic hip surgery, many of these people are not good surgical candidates. 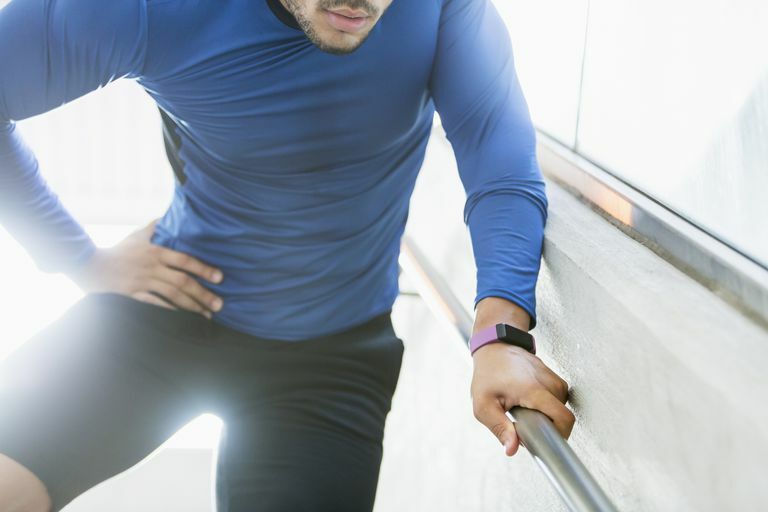 Studies have repeatedly shown that people over the age of 40 have a high rate of progressive arthritis of the hip joint, and the labral tear is probably just an early sign of arthritis in the hip. Many of these patients will ultimately end up with a hip replacement surgery, even after undergoing arthroscopic hip surgery. As is the case with many new surgical procedures, hip arthroscopy included, orthopedic surgeons are gradually learning which patients are most likely to benefit, and which are not, from surgical intervention. It is clear that not every individual who has a hip labral tear needs arthroscopic hip surgery. In fact, nonsurgical treatment in many cases may be just as effective, and sometimes even more effective, than surgical intervention. Working to define which patients are most likely to benefit is an ongoing process. It is clear that in almost all situations nonsurgical treatment should be attempted first and patients over the age of 40 should be considered very cautiously for a surgical treatment. Arthroscopic hip surgery undoubtedly plays an important role in the treatment of hip labral injuries. That said, many patients can find equally effective treatment with nonsurgical treatment. In almost all scenarios, nonsurgical treatment should be attempted before considering an arthroscopic surgery. Studies have shown that when nonsurgical and surgical treatment are compared, the results are not too different between these groups; both treatments tend to lead to improvement in symptoms. There are situations when nonsurgical treatments are ineffective, and surgery can be considered. The ideal candidate for surgical treatment is under the age of 40 years old and does not have signs of arthritis in their hip joint. Mansell NS, Rhon DI, Meyer J, Slevin JM, Marchant BG. "Arthroscopic Surgery or Physical Therapy for Patients With Femoroacetabular Impingement Syndrome: A Randomized Controlled Trial With 2-Year Follow-up" Am J Sports Med. 2018 Feb 1:363546517751912. Horner NS, Ekhtiari S, Simunovic N, Safran MR, Philippon MJ, Ayeni OR. "Hip Arthroscopy in Patients Age 40 or Older: A Systematic Review" Arthroscopy. 2017 Feb;33(2):464-475.e3.